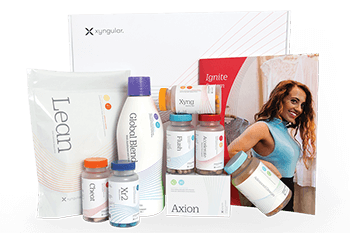 We are offering 3 ways, how to get popular weight loss product Xyngular Ignite Fat Burning System. With each option you will get all instructions how to start your 8 days weight loss cycle and start changing your life. Choose the best one for you. Distributors can enjoy Xyngular products at wholesale discounted prices and also have the opportunity to build their own Xyngular business. You can earn money with your weight loss! If you know you will be using Xyngular products every month and are interested in increasing your monthly income, this option is for you. Members take advantage of the same discounted price as a distributor by paying a smaller annual membership fee ($19.95) as well as agreeing to a monthly autoship. If you know you will be using except Ignite Kit other Xyngular products, this option will save you money on every monthly order. Retail Customers are those who wish to purchase Xyngular Ignite System at the full retail price. There are no membership feeds and no monthly autoship. Money back guarantee is also included! If you are just interested in trying out one 8 days cycle of Xyngular Ignite Weight Loss, this option would probably be best for you.